Some 275 miles to the east of Dayton, Ohio is Morgantown, West Virginia. 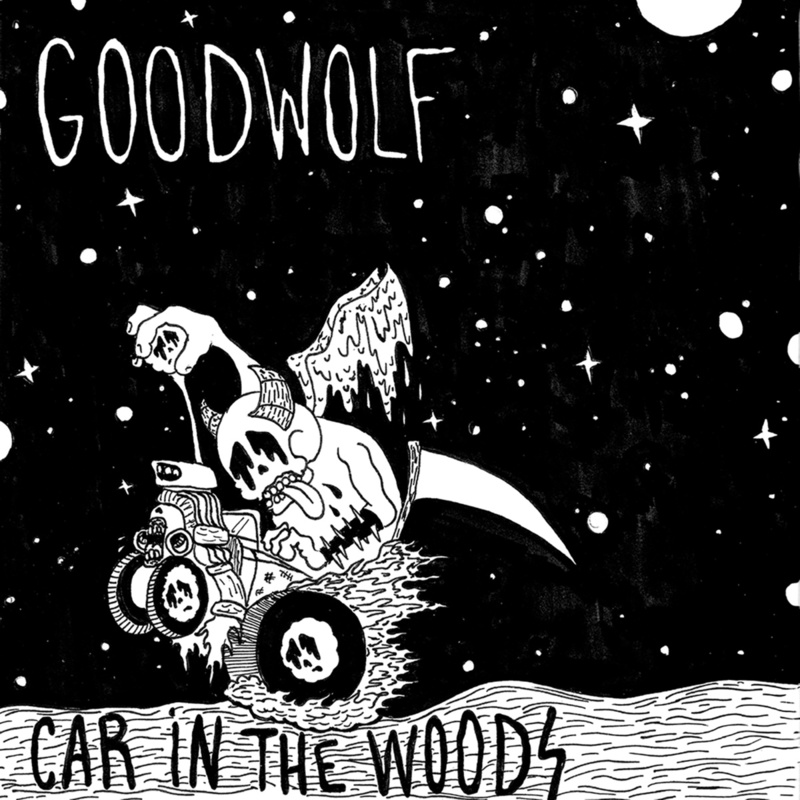 Both college towns, options in the latter are fewer, yet Goodwolf mastermind Tyler Grady channels the former’s DIY (drink it yourself) ethos popularized by Guided By Voices and their myriad influences on the band’s sophomore release, Car in the Woods. Backed by drinking buddies Sean Hallock (drums, percussion) and Bud Carroll (bass, guitar, programming), Grady outlines his survival instincts on the scuttling “Desperately 21.” Borrowing liberally from early ’80s new wave, songs like the accusatory “Black Denim” and stalker anthem “Rechico” recall Elvis Costello at his best. The pitying groove of “Fresh Grass,” drone of “Late Summer” and closer “Longhaulers” transcend life in Morgantown, echoing the pain and longing felt by post-pubescent beings the world over. Packed with hooks as on album opener “St. Someone Else” and standout “Ballerina,” Car in the Woods converts the Grady family garage into an arena rock Mecca. Even if the only audience is the family dog and the paperboy passing by, Goodwolf delivers a hearty dose of meat-and-potatoes rock and roll. Available via Twin Cousin Records, you can stream/purchase Car in the Woods on vinyl, cassette and digital below.